Learn more about the Kūlana Hawai’i Weight Management Program in RHIhub’s Rural Health Models & Innovations. 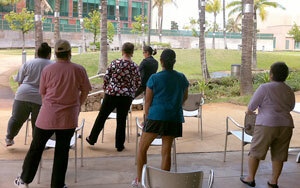 The Kūlana Hawai’i weight management program encourages participants to live long, happy and healthy lives. In Hawai’i, “kūlana” refers to attitude, stature and the way you carry yourself. It’s a belief that when internal changes occur, they reflect in a person’s outward appearance. Kūlana Hawai’i is a comprehensive weight management program geared toward Native Hawaiians and the medically underserved (low-income/rural) population on the islands of Oahu and Molokai. Unlike many weight management programs that focus solely on nutrition and exercise, Kūlana Hawai’i works to address internal issues as well. Aukahi Austin, executive director of I Ola Lāhui, the organization that runs Kūlana Hawai’i says the program’s focus is on making small, sustainable changes. “Our focus is to live long, happy and healthy lives,” explained Aukahi Austin, executive director of I Ola Lāhui, the behavioral health services organization that runs Kūlana Hawai’i. The primary goal of I Ola Lāhui is to promote overall health and well-being for Hawaiians. Kūlana Hawai’i is led by a team of integrated health professionals comprised of health psychologists, registered dietitians and certified fitness instructors who want to raise the health status of all Hawaiians without using guilt or shame as tools in their weight loss. The team works closely with primary care providers to ensure that each participant is receiving the best possible care. With the support of the Office of Hawaiian Affairs and the Hawaiian Medical Services Association-Blue Cross Blue Shield of Hawai’i (HMSA), Kūlana Hawai’i has been successfully providing care to 1,200 people for the past three years. While Hawaii has one of the lowest rates of adult obesity in the nation, the rate among Native Hawaiians in the state is nearly twice that of non-Native Hawaiians. There has been demonstrated positive change for Kūlana Hawai’i participants: over 75 percent lost weight, made statistically-significant body mass index (BMI) and blood pressure improvements, increased their weekly exercise, expanded their health knowledge, and reduced the incidences of chronic diseases and chronic pain. The last change is significant because there is an average of three chronic diseases for each participant. Health providers and participants also gave high satisfaction ratings to the program, noting changes to lifestyle and overall functioning. Participation in the program is covered by HMSA for one year. After that participants can continue, but it becomes a self-pay program based on a sliding fee scale according to income. Because Austin and her team knew they wanted to develop a program that would continue to exist after grant funding had ceased, sustainability was in the forefront of their minds. “Sustainability has to be a part of the conversation from the beginning, not at the end of a grant-funded project,” Austin said. At the beginning, the Kūlana Hawai’i team approached HMSA, which is the largest third party provider of health insurance in Hawaii, and asked for their input and support. Because some of HMSA goals are to reduce health disparities for Native Hawaiians and reduce obesity, Kūlana Hawai’i was a good fit. Discussions have now begun with other third party payers in Hawai’i. Soon others in Hawai’i could have access to programs that will allow them to increase their overall well-being and strengthen their kūlana. 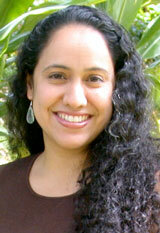 Kūlana Hawai’i is also featured in RHIhub’s Rural Health Models & Innovations Hub. * The Rural Monitor does not use the full name of patients or clients, when requested. This entry was posted in Around the Country and tagged American Indians/ Alaska Natives/ Native Hawaiians, Hawaii, Health conditions, Minorities, Obesity and weight control, Physical activity, Population health, Sustainability of programs, Wellness/ health promotion/ disease prevention on February 26, 2015 by Rural Health Information Hub.